On the face of it, building a road is simply about connecting two points. In reality, a road is so much more. A well-placed road can improve access to schools, health facilities and justice services. It can mean a mother making it to a hospital in time to deliver her child. It can also give a woman a quicker, safer route to sell her goods at the local market, or a job as a construction worker. From rehabilitating roads in Afghanistan to building health clinics in Sierra Leone, UNOPS (United Nations Office for Project Services) supports infrastructure projects that achieve real progress for people in need, by engaging local communities and empowering the most vulnerable. These infrastructure projects, implemented on behalf of a range of UN, government and other partners, have the ability not just to grow economies but to make a tangible improvement in people’s lives – women and girls in particular. This improvement starts by constructing facilities for women and girls to access education, justice, and healthcare. But UNOPS realises that a successful road or school is more than just tarmac or bricks. Infrastructure can create livelihoods and empower communities. Working closely with governments and communities, the organization strives to create infrastructure that is truly ‘owned’ by the people it serves. In Pictures: By implementing around 1,000 projects for its partners at any given time, UNOPS makes significant, sustainable contributions to results on the ground. In particular, UNOPS project managers work to improve gender equality and empower women at all stages of their projects. The results of this work are more girls in school, more job opportunities for women, more control over their health and more power over their own lives. This is the true power of infrastructure. Getting more girls into schools is about more than just building school facilities. That is why high quality projects to build schools consider ‘soft’ inputs such as free school lunches and community engagement. Alongside such inputs, ‘hard’ outputs like the physical design of the building can also make a huge difference. In many cultures, girls are less likely to be allowed to go school if they have to share a toilet with boys, or if boys can see them entering a toilet. These barriers are easily overcome by speaking with the community and devising a solution, such as erecting permanent toilet screens at schools in South Sudan, which were built by UNOPS with funding from a range of donors. Infrastructure projects can also provide considerable amounts of work for local communities. Labour-based road projects in particular can inject much-needed cash into post-conflict or post-disaster communities while increasing skills and developing capacity. With the right planning and community outreach, these projects can also attract women into the labour force and provide skills for future jobs. 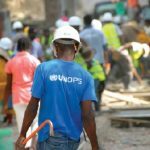 For example, when building roads and shelters in post-earthquake Haiti on behalf of multiple donors, UNOPS emphasised a labour-based approach in order to be able to employ as many Haitians as possible, with a particular focus on female heads of households. This approach empowered women while at the same time ensuring a minimum family income to help improve lives and promote economic recovery. In some cases infrastructure projects can help break traditional boundaries for women. For example, a Swedish-funded road project in Afghanistan wanted to give the community’s women the chance to work on the roads like the men. As this is an area where women traditionally do not work outside the home, outreach officers were employed to persuade local community leaders to agree to let women work. This approach was a success and 105 women were trained to screen gravel and weave wire baskets for wall building. This enabled them to both learn a useful new skill and earn a valuable income for their families. The women reported that working as a group also led to the creation of an informal social forum where they could exchange ideas on ways to improve their lives. As well as training women labourers, infrastructure projects can help women create their own businesses. In that same road-building project, construction workers complained of a lack of places to buy food on site. In response, the project helped a group of local women to set up a bakery, which began supplying bread to local workers and bus passengers. This was such a success that five women’s groups were then trained to start similar ventures. One group was engaged to produce protective clothing for the project’s snow clearing crew. 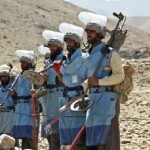 The quality of the products led other UN agencies to enquire about buying winter wear from the same group. The wages brought home from these businesses brought a new financial freedom for many of the women. In developing countries, women are often the ones responsible for fetching water for their families, sometimes travelling a long way through insecure areas. In Lakes State in South Sudan, for instance, many women risk their safety by travelling up to four hours a day to fetch water during the dry season. Talking to women to find out their water needs allows project managers to build dams and water reservoirs in the right locations to increase women’s safety, such as in the case of the Lakes State Stabilization Programme in South Sudan. This was coordinated by the United Nations Development Programme in partnership with UNOPS and the World Food Programme, under the state government. Similarly, women in many communities are responsible for getting goods to market. In remote areas this can take many days. Well-planned and maintained roads can cut that time down immensely and give women more time for other uses. For example in the Democratic Republic of Congo, UNOPS rebuilt a road between Masisi and Goma, on behalf of the government of Belgium, reducing travel time from three days to half a day. More than 110,000 stranded refugees in South Sudan were able to receive emergency relief after transport infrastructure in the area was greatly improved, with UNOPS support. The Sudanese refugees fled to Maban County in Upper Nile State during 2012, but poor roads made delivering humanitarian aid difficult, especially during the rainy season when roads became impassable. UNOPS was tasked by the United Nations logistics cluster to undertake emergency infrastructure works to create vital access to the refugees. As well as building better roads, UNOPS completely rehabilitated the surface at Maban airfield, creating a new all-weather 1,400 metre runway. The resurfacing was carried out in six weeks and used a labour-based approach that provided much needed income for the local community. These activities were funded by contributions from the European Commission, the United States government and the Common Humanitarian Fund for South Sudan. With both roads and air routes open, organizations such as the World Food Programme were able to deliver crucial provisions and provide life-saving support in one of the world’s biggest humanitarian operations of 2012. Throughout the project, UNOPS consulted the local community and the government of South Sudan regularly and held weekly meetings with representatives from the relief organizations on the ground, to ensure their needs were met. In one example of the value of such consultation, when preparing to rehabilitate the airfield, UNOPS altered the specifications after talking with pilots from humanitarian organizations operating locally, making the airstrip more fit for purpose while saving the donors money. In another example, UNOPS installed road signs and speed bumps in villages and set up driver training after the new roads led to an increased incidence of unsafe driving. Women’s health is a major issue in development, with many women dying in childbirth or being denied access to contraception that could help them plan their families and better control their own lives. As one of the UN Millennium Development Goals, maternal health has received considerable attention and the indicators are improving fast. This is partly thanks to an improvement in dedicated maternal health spaces, such as the integrated pregnancy and childhood centres built in Indonesia by UNOPS on behalf of UNICEF. All members of the community have to be engaged in order for development projects to successfully identify needs and provide the required jobs, training and access to services. This includes making a special effort to consult those whose voices are not always heard, such as women in traditional societies. 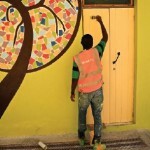 In the Maldives, for example, UNOPS implemented a project to pipe drinking water into people’s houses, on behalf of the government through UNDP, with funding from the Adaptation Fund. To ensure that the outputs met the needs of all family members, the project board consulted members from the islands’ Women’s Development Committees. In countries where there is no such formal representation, female community liaison officers are often hired to seek out local women and meet them at home, to find out their needs and hear their opinions. Ensuring that women’s voices are heard is critical to making a project successful, sustainable and truly inclusive. As central resource of the United Nations, UNOPS helps its partners deliver their aid and development programmes in over eighty countries. With over 6,000 personnel, UNOPS offers its partners the logistical, technical and management knowledge they need, where they need it. UNOPS partners are currently relying on its proven expertise to increase the speed, cost effectiveness and sustainability of over 1,000 projects. In 2012, 65 percent of UNOPS delivery was on behalf of the United Nations system. UNOPS charges a different rate for different types of projects, depending on a variety of factors including length, location, complexity and expected risk. In 2012, UNOPS delivered $977 million in project services and earned $58.8 million in project-related revenue, meaning that administration costs were on average around six percent. 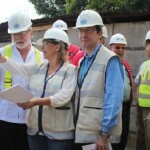 Mr Jan Mattsson joined UNOPS as Executive Director in 2006 and has led the organization through a major transformation. During this period, UNOPS mandate and role in the UN system were clarified by the General Assembly, its core competencies firmly established in line with international best practice standards of performance and the organization was returned to financial sustainability. Mr Mattsson has enjoyed a distinguished career with the United Nations, spanning more than thirty years. Just prior to UNOPS, he served as Assistant Secretary-General and Director of the Bureau of Management of the United Nations Development Programme (UNDP), where he was a leader of change management and organizational reform.